You Comment and I Follow - Yep, it's groozi! Written by search engine optimization consultant Blake J. Discher. Most SEO experts agree on at least one thing: incoming links to your web pagees are very important when it comes to determining where your page will appear in the search engine listings. An impediment to getting these valuable links is that, by default, most blog platforms are set up so that a “Do Not Enter” sign is added wherever a link appears in a comment. This means that search engines will not “count” the link as they are crawling the internet. In geek-speak this is known as a “no-follow”, originally designed to help stop comment spam. With today’s ease of comment moderation by blog owners it’s really not needed. In fact, what it actually does is remove some of the incentive for your readers to contribute the blogging community by commenting on your posts. What can be done about this? Do what I’ve done, I’ve turned off “no-follow” because I appreciate my reader’s comments. How? It’s easy. If you use WordPress, use this plugin. If you use Blogger for your blogging, then read this instructional post on how to modify your template. So if you’d like, please feel free to comment and include a link to your site. We’ll both benefit; you’ll have an incoming link to your site and I’ll have an engaged readership! Thanks for sharing such a great content.. Thanks for a great articles, very useful SEO advice. Maximum bloggers have set the nofollow attribute. Thanks Blake! Blake, couldn't agree with you more. I always have my comments website option set to dofollow. I believe it's important to allow everything to flow naturally and preventing that by making comment link nofollow, goes against that methodology. I find it some what annoying that blogs default to 'no follow' when I think the majority of bloggers don't know what 'no follow' is or that such a thing even exists! Everyone should be encouraged to be involved in the wider online community and in return why shouldn't they get a link to their site. The more someone adds to the community then the more they SHOULD be rewarded and this in turns helps the community to find companies who make an effort to interact with the online world. As mentioned in today's moderated world there is simply no need for the 'no follow' system. Thanks Blake to write about Nofollow/Dofollow, It's really a concern for the searcher now, It's like impossible to find a related dofollow blog to comment. Maximum blogger's have set the nofollow attributed because no one wants to share his linkjucie. I've heard Yahoo and bing follow nofollow attributed link, what do yo know about that. Posting in do follow blogs is really a big help for your site. As long as you contribute and you are not spamming it, this site will at it's best. I was interested to read your post on encouraging comments on your blog by allowing "do follow" links. As long as comments are relevant and not spam, I too am happy to allow "do follow" links. I wasn't sure if this was a good move, but was relieved to read it should enhance my blog. thank u for a very inspiring "The right way to negotiate with clients " speech on photoshelter. I am an aspiring photographer and basically learning from books and experience, so i find this information very useful. I have just built myself a website and just learned what SEO is. it's fascinating how much extra things above and beyond your niche of expertise u have to learn to be succesful! Comments show engagement, and if nothing else, it's free User Generated Content for a site owner! So long as the content is worthwhile, it's a pretty good deal for both parties. I notice this movement started picking up in 2009, but unfortunately I've only just heard of it. I wonder - and I'd love to hear your thoughts on this - if such a movement could come back to bite site owners in the behind if they're not careful? Esp. in a Post-Panda world where it's not only important who (and with what keywords, consistency, authority, etc) links to you, but ALSO to whom you send your links... I certainly don't want a followed comment on my blog pointing out to some Phillipines drug site or gambling site, right? Even so, this movement is fascinating to me, if for no other reason than it seems to have been fairly successful and mobilized people well... I wonder if the badges had a lot to do with that? I noticed ever since I changed one of my blogs into a dofollow website, I've doubled my traffic. Thank you for following the randa clay movement. Thanks for the advice hope to read more. Nice move. 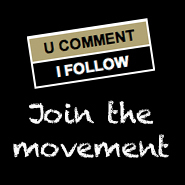 I'm going to remove the nofollow comment attribute this week as well in my blog. Thanks for the advice! I'll be sure to change the settings on my blog. Ah! Thank you for the tip Blake, although I feel silly typing in a keyword for my name. Wordpress has pretty good spam blocking tools. I also use a plugin to remove the 'do not follow' attribute, and have it that way for years. I have not had any problems with spam slipping through. But you did the comment wrong... your "name" should be your keyword phrase! You have lots to learn grasshopper. Great advice. Why didn't I hire you the first time? Dofollow is a good prize for commenter not for spammer, keep it up. I think only thoughtful comment must be posted on site and that should get link. I’m not sure if it’s a good thing but even though it encourange many readers to post comments, it also encourage people to post useless comments. E.g a funny post, the reader could just type 1 word and spam other post too with their useless comments. Thanks for the information, I didn't realize that most blogs are defaulted to the "no-follow" setting. I think interaction between bloggers is the best way to build internet communities that aren't centered around sites like facebook. You are, as always, a wealth of insurmountable knowledge Mr Discher !!! Thank you, thank you, thank you. Oh, and where have you gone, are we taking the summer off from blogging? I look forward to seeing you this Fall in Philly. It’s interesting that blogs first started out as a way for people to express their opinions on their chosen subjects (at least that’s what I thought), but now it has turned into a networking tool with this dofollow and nofollow debate. But I guess business is business, and I think dofollow is the way to go. You're right, Blake. WordPress has a wealth of common sense features that benefit blog owners as well as visitors. The Open Source movement, which provides SO many free tools for business owners, can be both a blessing and a curse since it directly effects the revenues of those who develop competing proprietary software. The irony is that photographers who use Open Source software are keenly aware of what happens when intellectual property is not fairly valued in the marketplace. But WP definitely falls on the "blessing" list. As always Blake, great insight and very helpful useful information. Now hook me up! See you in a few days.